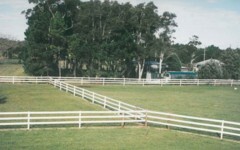 This post will cover the two most popular horse fence post bracing techniques. 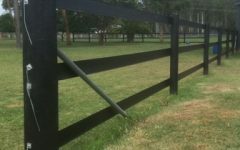 The secret to a durable horse fence installation often comes down to how well the posts are installed as these bare the greatest burden in the fence structure. 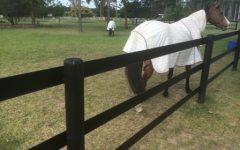 With strained horse fences like ours and other types of fences with a strained horizontal (wire, plastic coated wire and tape fences) the “straining posts” will become all important. In truth it is not so much a straining post, but a straining assembly as all such posts will need to be properly braced for strength. 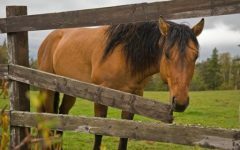 So in this blog in our, horse fence ideas series, we will consider the two popular bracing techniques. The first bracing technique we will discuss is the H Brace. 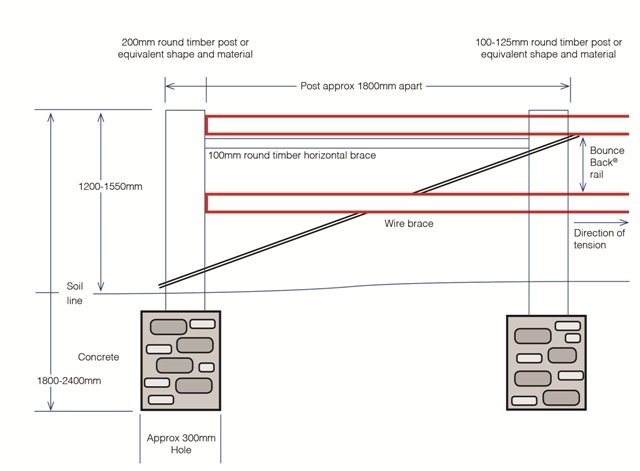 This traditional bracing system has fallen out in recent years in favour of the “simpler” diagonal brace. This is the method prefered by the “old style purists” and is perhaps the more attractive looking approach. 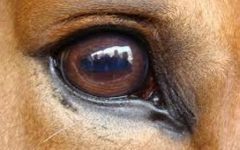 It is still used by some due to its inherent strength and tidy appearance, and some horse safety benefits. Some perceive that the horizontal brace bar is safer and provides less entrapment risk for horses than the diagonal bar used in the diagonal brace. Thus large stud farms tend to favour this technique. It is also necessary with some composite posts that have inherent flexibility or that can not be cut. However others feel the diagonal wire is an issue. 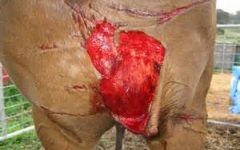 The diagonal wire can be replaced with plastic coated wire or upmarket kevlar/carbon fibre polymer to reduce the cuts and abrasion risk. How does the H Brace work? 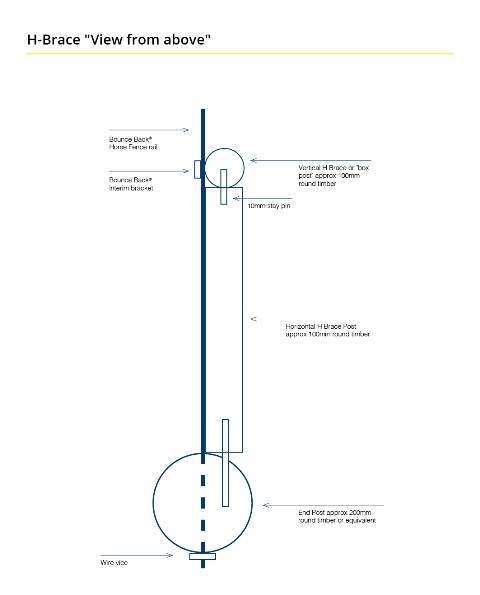 Simply speaking the outer “straining post” is held upright by the horizontal beam (see below left, note it can be hidden neatly by our rail unlike the diagram to the right) attached to the top of it self and the first inner post. Obviously the first inner post will somehow need to be supported to, and this is done by the diagonal wire. The wire is attached to the bottom of the straining post as shown above right. The wire runs diagonally to the top of the first interim post, which will hold this post upright. We have formed a triangle which will resist the strain applied horizontally, because the wire will not stretch as would be required by the strain being placed on the fence by the rail. One criticism of the H-Brace is that the wire can stretch over time. This can be overcome easily by using a gripple joiner, or wire ratchet strainer, that allows the wire to be restrained. 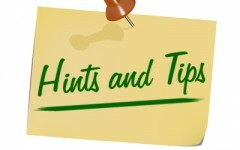 Others use thicker, twisted or braided wire for the diagonal to prevent stretching over time. With our system we suggest using threaded rod or “booker bar” instead of a wire. A threaded rod, available for all fastener shops in 3 metre lengths, can be very easily re-tightened by tightening the nuts with a socket wrench or shifting spanner, see the second picture from the right below. 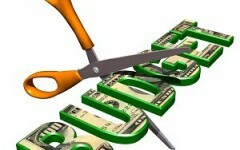 This makes maintenance quick and simple and no special tools are required. 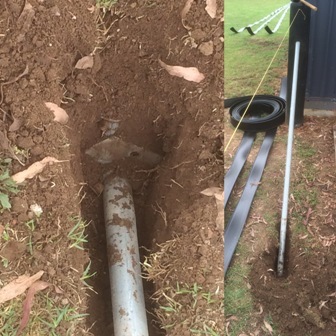 If 10mm Threaded bar is used, it can be neatly covered in standard 13mm poly irrigation pipe sold at your local DIY store, see the second picture from the left below. This black pipe not only makes for an attractive finish but protects your horses from any contact with the steel. A common error with the H Brace is to have too steep an angle on the diagonal wire. It should never be above 45 degrees, but in fact should be much lower. A general guide is the length of the horizontal brace should be 2 to 3 times the height of your fence. 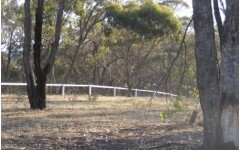 This is possibly the most common fence post bracing technique. It is simple to understand and requires little engineering knowledge. 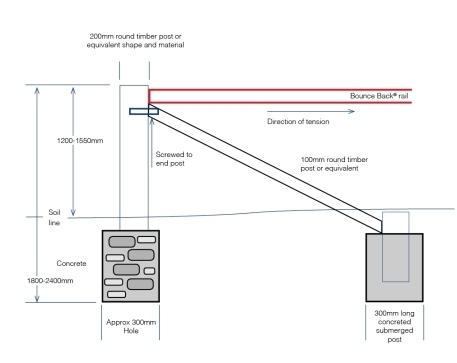 As seen on the diagram to the right it features are diagonal rigid brace (usually timber or tubular metal) from the top of the straining post to a submerged post. It’s simplicity is its strength. So long as the submerged post is sufficiently deep and concreted appropriately it has a very sure foundation. Sometimes as a variant to this technique, the brace is run to the base of the first interim post, avoiding the need for an additional submerged post. An experience fencer will quickly notch the straining post and trim the ends of the brace so that even contact is made with both the strained post and submerged post. The D.I.Y. fencer can find notching and trimming the brace a little cumbersome and some number of braces fail due to uneven contact of the brace to both the straining post and submerged post. Typically the edges of the brace only make contact in these failed installations and the corners wear down allowing movement under the pressure of the strain and ground movement. So be careful to trim and notch as necessary to ensure maximum area of contact between the brace and the two posts. 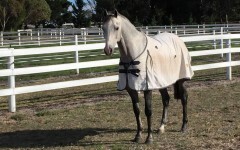 On the down side some horse lovers are not keen on the diagonal post brace. 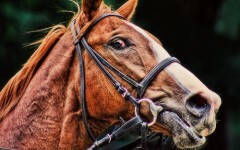 They feel the diagonal creates and area of entrapment for horses. 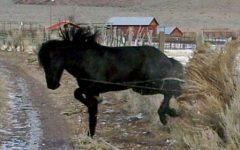 This may not be relevant on boundary fencing as the brace would normally be on the outside of the fence and safe away from the horse. 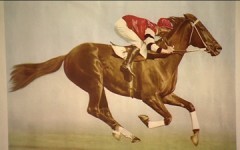 However on internal yard fencing where horses are on both sides this may need to be considered. Others feel the diagonal brace removes the neat look of the straight lines that the H Brace affords. Everyone has their preference. 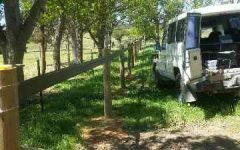 Comparison of bracing techniques – Collie Farm blog, Rural Fence Post Bracing. Building a H-Brace – Farm Folly – How to build a H-Brace for Horse Fence Posts. 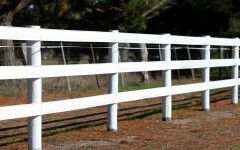 General guide on building a long lasting fence – Rural Fencing tips Horse Fence. 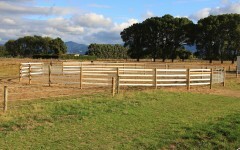 As always at fencing for horses we are always happy to answer your question on any horse fence matters. 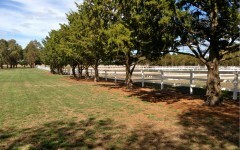 If you have questions or you are about to start to fence your horse property feel free to contact us for Horse Fence Advice.